Back up your photos, videos, and other important files from a variety of devices including cameras, drones, smartphones, tablets, and other mobile devices to the 250GB / 500GB / 1TB / 2TB My Passport Wireless SSD from WD. 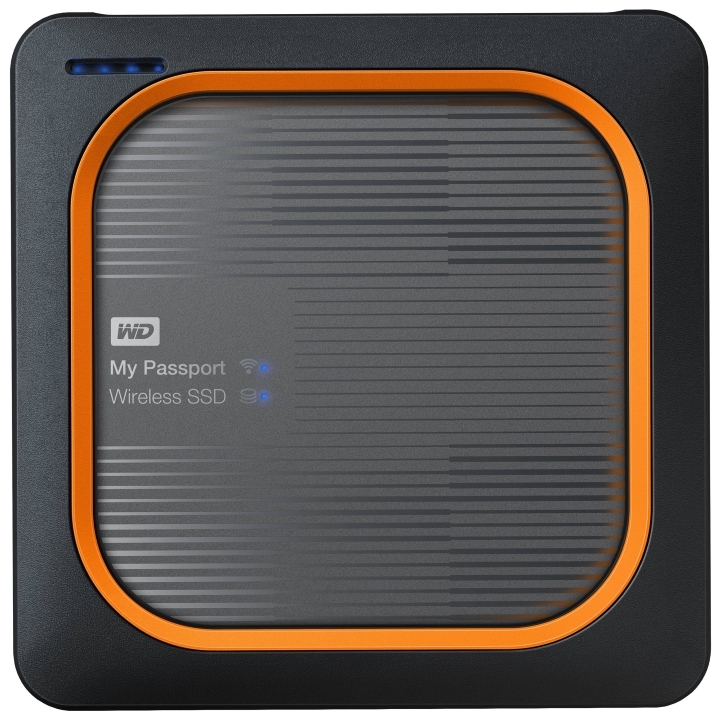 Simply pop the memory card out of your camera, drone, or tablet and insert it into the memory card slot found on the My Passport Wireless SSD. Once inserted, you can transfer all of your photos and videos saved on the memory card directly to the SSD with the push of the one-touch copy button. 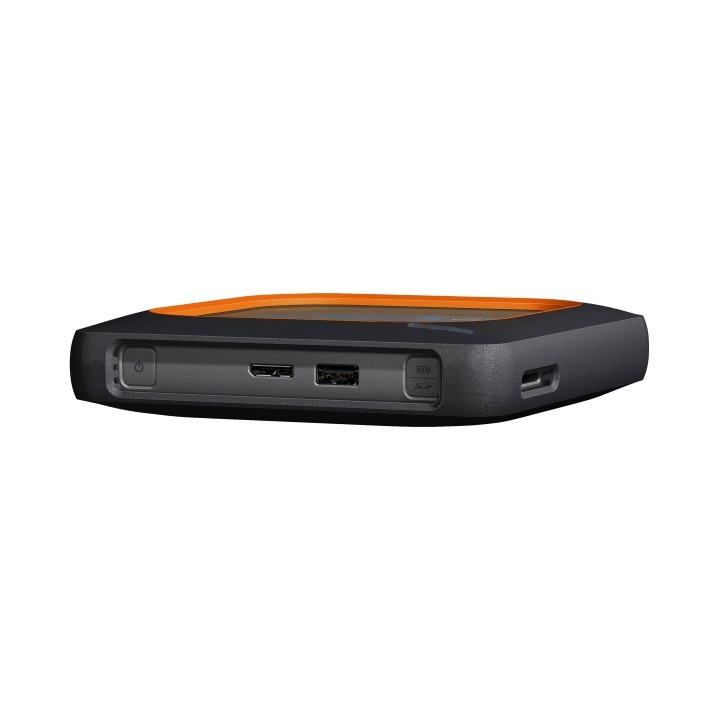 In addition to transferring data via the memory card slot, this portable SSD also features Wi-Fi support via its 802.11ac Wi-Fi connection along with support for both the 2.4 GHz and 5 GHz networking frequencies. 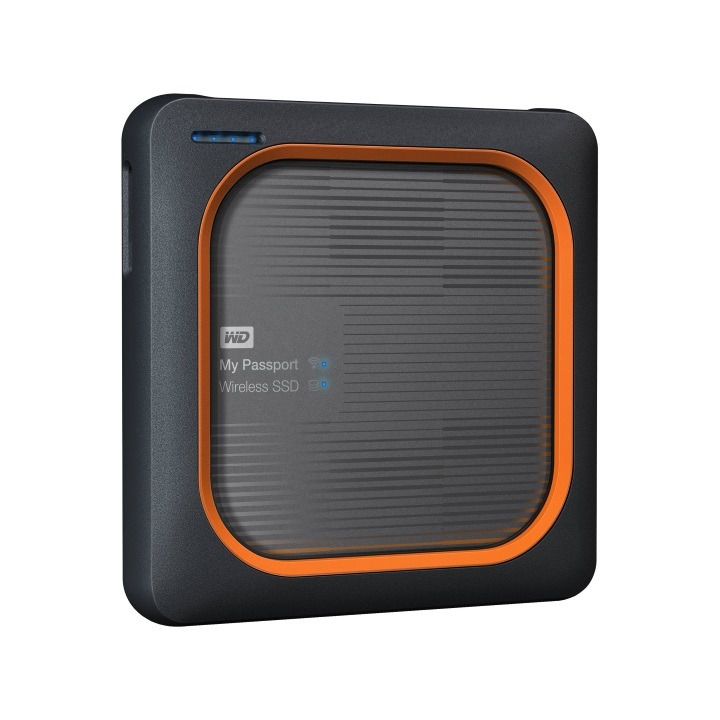 With this Wi-Fi connection, you can access files on the My Passport Wireless SSD, stream 4K content to up to eight devices, export RAW images using third party apps, and much more. Accomplishing all of these tasks is simple, thanks to the My Cloud mobile app available for mobile devices running iOS 9 and higher or Android 4.4 and higher. Regardless of how you connect to the My Passport Wireless SSD, you can rest assured it will be there for you with a battery life of up to 10 hours. With a battery that powerful, you can even plug in compatible USB peripheral devices such as smartphones and tablets to the My Passport Wireless SSD's USB port for a quick charge. A built-in SD card reader with up to 65 MB/s read speeds and one-touch copy button makes it easy to quickly back up photos and videos from an SD card without a computer or additional software. 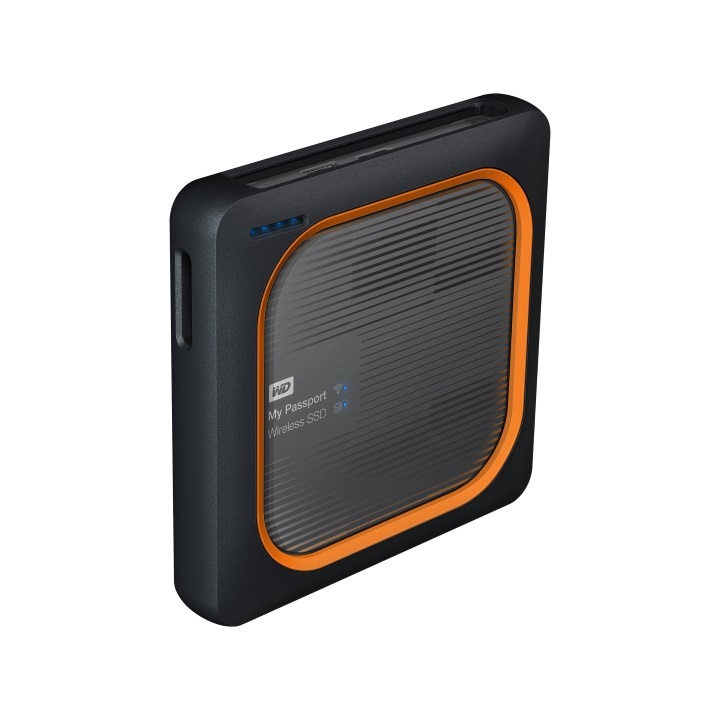 Enjoy fast access speeds and transfer rates (up to 390 MB/s read) when using the USB 3.0 port to move files to and from PC or Mac computers. My Passport Wireless SSD has up to 10 hours of continuous use. Bring it on an all-day shoot, stay out in the field longer. 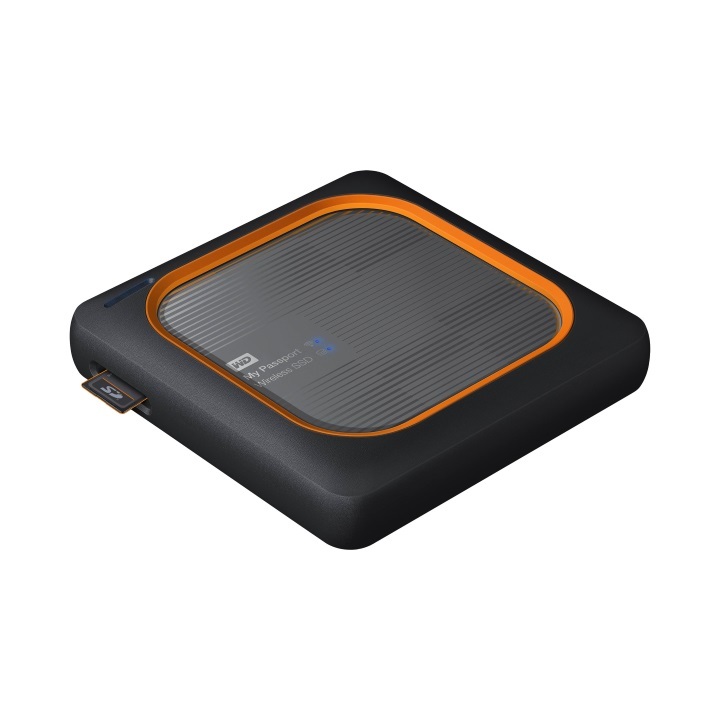 Take it on a long trip, continuously stream videos on the road or in flight. 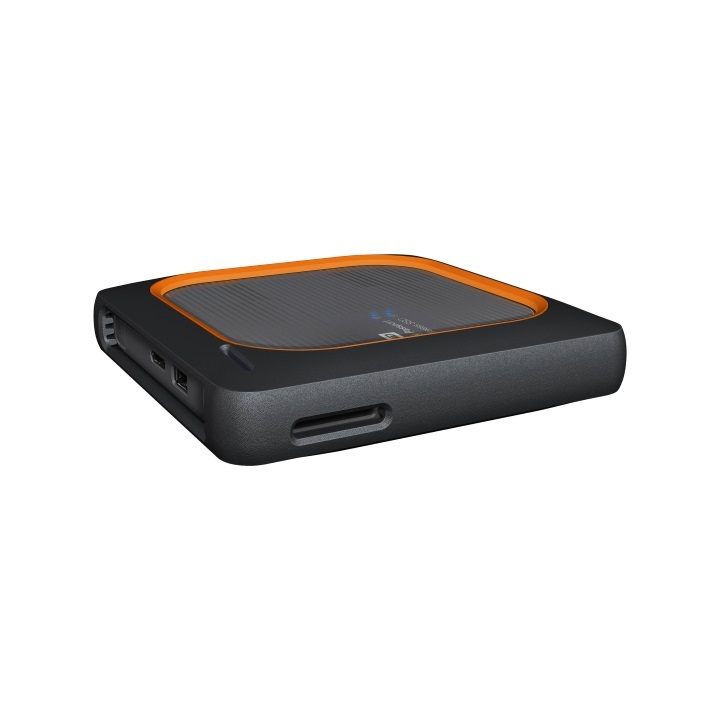 My Passport Wireless SSD creates its own fast 802.11ac Wi-Fi connection so you can wirelessly connect to your drive to access and view saved photos or smoothly stream 4K video directly to your phone or tablet using the My Cloud app. Preview RAW images on your phone or tablet, and export to edit them with third-party apps.